Sorry could not make it, had already arranged for a White Company training day. 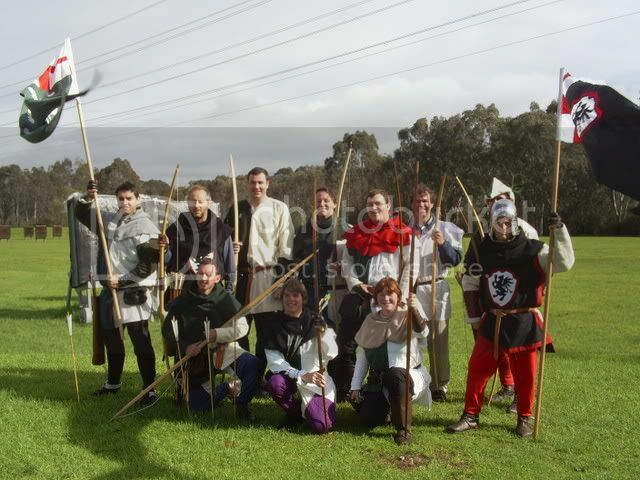 We signed up 13 new members, mostly newbies but some with plate armour, horses, and re-enactment cavalry experience. 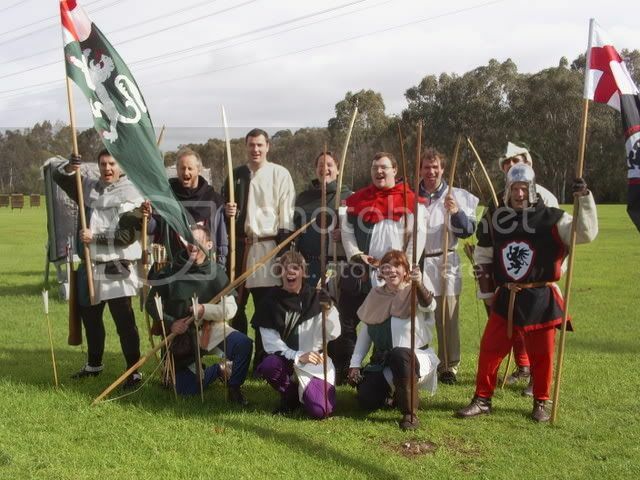 Now we have to get them all ready for events, let alone the Launching Place Archery Park Tournament and the Battle Clout at Geelong (need details Leigh). 13 new members , Good work ! How a bout you bring down to Mossvale one Sunday and we'll have some sword work in the morning and an archery comp in the afternoon between our clubs ? that is a great photo. Hopefully by MMFAT we will have more griffins to fill the ranks...! Well Leigh should of been in it too but the couple of shots of him were no good. I cannot share photo's with mere mortals as my brilliance won't allow anyone else to be seen. Looking at those photos now makes me wish I had gotten around to putting my 'bogman' peasant outfit on. Come to think of it, I probably need to find myself a better outfit. Nev was able to put photos directly on the thread. How do you do that on this forum!!!!!!!!!! Even now as I reply I look and see no capacity to add an attachment. The mystery deepens. 13th July clear for battle clout lms style?